Find out how easy it is to use Radio and LAN data loggers with our new Tinytag Explorer Connect video. We have just produced a new 5 minute video about Tinytag Explorer Connect, the central data management feature for Tinytag Ultra Radio, Plus Radio and LAN data loggers. 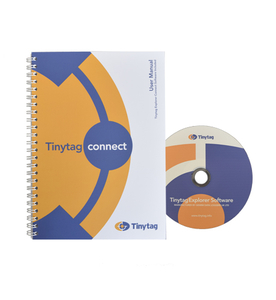 Tinytag Explorer Connect software is used to configure Connect enabled data loggers and view the recorded data. Data from Radio and LAN loggers located across multiple monitoring points can be easily accessed by any permitted user in a LAN, or remotely over the internet, allowing any permitted user on a network to have remote access to the data being recorded in their application from the convenience of their own desk. You can find the new video on our Tinytag Explorer Connect homepage. Contact us to find out more.